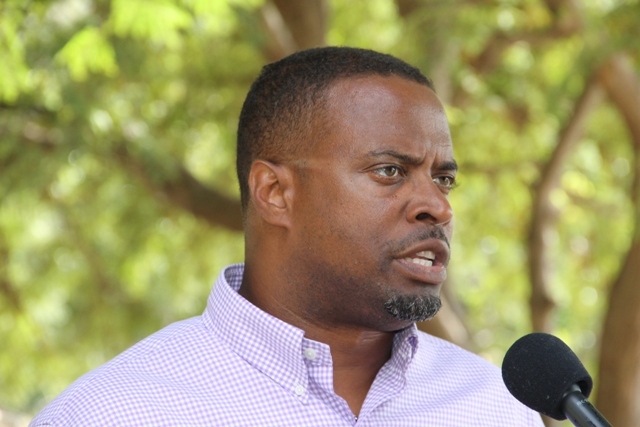 NIA CHARLESTOWN NEVIS (February 27, 2015) — Deputy Premier of Nevis and Minister responsible for Tourism and Culture Hon. Mark Brantley, says that though the upcoming first ever Nevis Blues Festival is not a government function, the Nevis Island Administration (NIA) believes it is an excellent tourism product and has thrown its support behind the event carded for April 16, 17 and 18 at Oualie Bay. 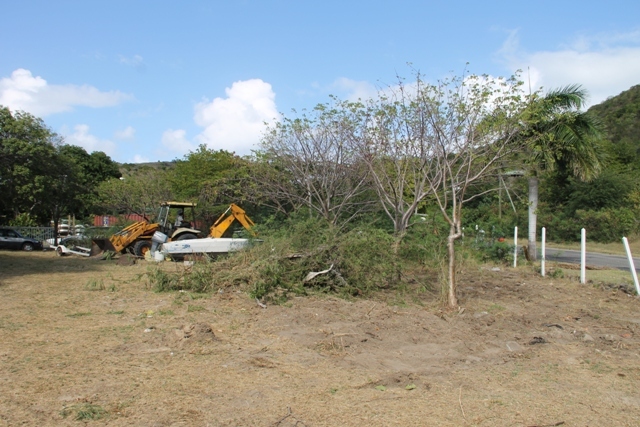 Mr. Brantley made the comment when he visited the venue on February 25, 2015, where preparation work had commenced. He stated that the administration would support the planned festival with the provision of logistical and other support through the Public Works Department. The Minister of Tourism said the event would be Nevis’ first attempt at hosting a music festival and when the idea was brought to his attention by owner of Blues label Nugene Records, Richard Pavitt and owner of the Oualie Beach Resort John Yearwood, he embraced it with enthusiasm. 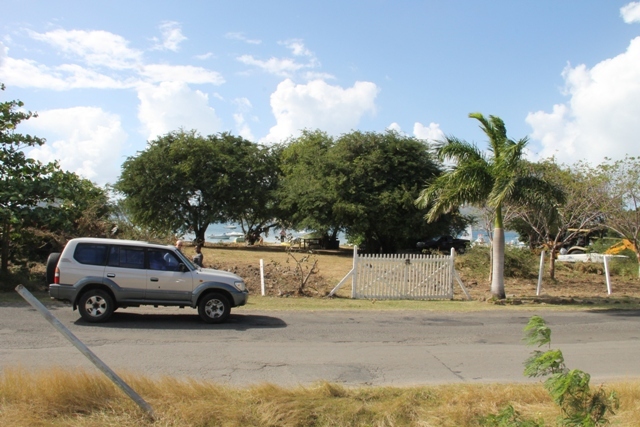 He said the administration felt the festival could offer greater exposure for the island and could draw people who may not have otherwise come to Nevis. Mr. Brantley noted that Blues is a niche type of music, a very specific genre and it is expected that visitors, who were already being targeted by tourism officials, would attend. “Based on the demographic we have seen, it tends to be the type of guests that Nevis would want. “We are hopeful, that this year we can make our mark and then we will become known for Blues in the Caribbean, in a very intimate and exclusive setting and that’s what we are seeking to achieve,” he said. He noted that the Nevis Tourism Authority (NTA) and the NIA were keen to partner with organisers of the Nevis Blues Festival and to make it a reality for Nevis. He also urged Nevisians to support the event. Regarding the timing set for the festival, which comes about a month before the St. Kitts Music Festival and other activities in the Caribbean, Mr. Brantley said the Blues Festival is a more exclusive event than the Music Festival, which is larger and a more mass market event, and it would not be competing with others. He said it was all about creating something unique for Nevis and something that was uniquely Nevisian with a Nevisian feel and flavour. 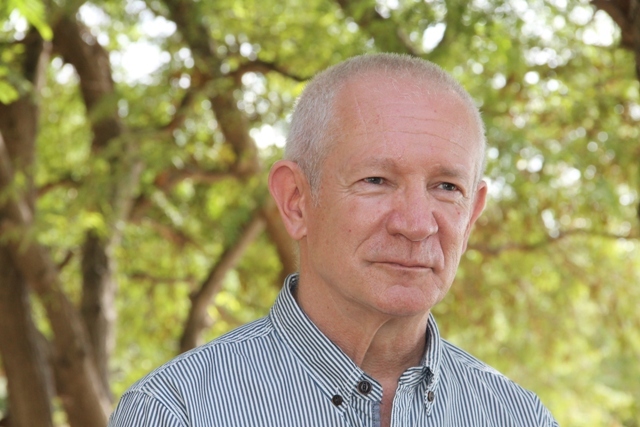 In response to a question regarding the local acts that would be a part of the festival’s line up, in his capacity as Minister of Culture, Brantley said the cultural component of the festival was equally important as the touristic component. He said it would offer Nevisians an opportunity to learn about the genre and to participate in what he believes is a type of soul music. “We have one person Denise Gordon for example, I see her as local. She is, of course, in the UK, beautiful singer, she is going to be one of the headlines here and so I am happy about that, also people who are here on the island getting that exposure. “We may have the next great Blues guitarist or the next great Blues singer right here in Nevis and it’s an opportunity, I think, for our people to get exposed to it and so the cultural implications are also phenomenal,” he said. Meantime, Mr. Pavitt who was also at the site, gave an update of the festival. He said an announcement of the roster of local artistes who would form part of the line-up of performers from Nevis, St. Kitts and possibly from other islands would be announced shortly. He said the countdown to the festival had begun and it was an exciting time with the hard work of putting schedules together, site clearing and construction and ramping up marketing and press work leading up to the event. According to Pavitt, the three international acts would come from the United States of America and the United Kingdom. “Ian Siegal from the UK is the leading contemporary Blues artiste in the UK and quite popular in the Caribbean. He does the Mustique Blues Festival each year. “We have Denise Gordon whose parents are Nevisian. She spends a lot of her time touring jazz festivals in Europe. She is coming in to join the festival, as is a gentleman called Zac Harmon from Dallas in Texas, a really good sort of soul Bluesman. He has been around for a few years, very accomplished. He will be here and they will individually perform the Thursday, Friday and Saturday,” he said. The international acts will also be joined by the Nevis Choir for a gospel-infused Blues number that would bring the curtains down on the festival. For information regarding ticketing and other information related to the first Nevis Blues Festival, the public can go to www.nevisbluesfestival.com .